Custom-designed rough-edged tumbled marble tiles with historic map images dating between 1500 - 1799. Tiles are 4 inch square and have vinyl bumper feet to protect tabletops. 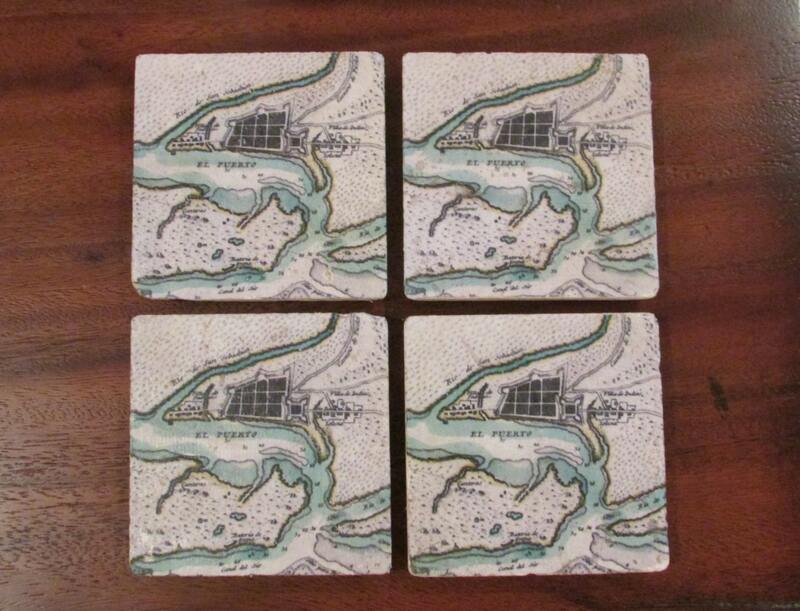 You may choose from any of the maps listed on this site or we can create a custom coaster set using an image you provide. 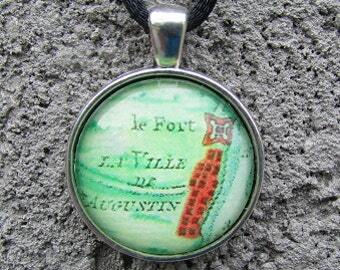 The coaster set listed here features a map titled, Plano de la ciudad y puerto de San Agustin de la Florida and was created by Tomas Lopez de Vargas Machuca in 1783. Each of the coasters in this set will vary slightly because of the variations in the marble tiles. Each set comes with 4 marble coasters and an information card about the map image. Tile images have a protective clear coat on the top of the image for preservation. Each tile is uniquely beautiful to have and to give.